Reforms in India, frequently tend to be “historic”. That is perhaps because they have a long history in the waiting room! The GST was first mooted in the year 2000. Atal Bihari Vajpayee was Prime Minister and Sachin Tendulkar was in his prime with 46 centuries. It took till March 2011 for the bill to appear in Parliament. Tendulkar had scored 99 centuries. Virat Kohli was the new kid on the block with five tons. Last week, the 122nd Constitutional Amendment to enable GST was passed. Kohli has scored 37 tons in Tests and ODIs. India could have done better if its political class had not chosen petty interests over national interest. There is, though, no disputing the milestone event. The moniker of the most important reforms since Independence is a bit stretched—strictly, that distinction belongs to the dismantling of licence raj. The GST—now a visible reality—could surely be the biggest tax reform. As of now, producers—ergo, consumers—are paying tax on tax. The price: delays, corruption and higher costs to the larger economy and to household budgets. All this could be history and one India, one tax a reality once the systemic process is completed. Indeed, the government could make history if it gets the configuration of the GST. As of now, the priority is inverted—much of the discourse is about losses to government and business. The first principle must be to ensure that the benefits of reform reach the consumer/taxpayer. The discourse has to be about how to set up a low GST rate regime for the individual. Sadly, the debate is rather unidimensional—about costs when it must also be about efficiency and savings. A landscape of debt, dole and deficit pockmarks the Indian economy. Between 1991 and 2015, the Centre and state government borrowings have shot up from Rs 10,435 crore to Rs 6.8 lakh crore, interest costs have spiraled 24 times, pension costs have rocketed from `5,184 crore to `269,388 crore, food subsidies from Rs 2,448 crore to Rs 126,084 crore or 51 times. A fourth of the power generated is lost in leakage and theft—that is Rs 182 crore a day or over Rs 66,000 crore a year. Every year, central public enterprises lose Rs 70 crore a day or Rs 25,000 crore a year, and have accumulated losses of Rs 1.2 lakh crore. Of the 849 operating state-level public enterprises, over 250 are in losses—and nobody quite knows the quantum of losses. Every year, the government spends around Rs 1.25 lakh crore and a third of the grain never reaches the intended beneficiary. Last year, the Indian Railways lost over Rs 34,000 crore on what it terms “coaching services”. Back of the envelope calculations math would reveal that over Rs 1.5 lakh crore is lost to the criminal sloth in the system. Subsidies are now the largest expenditure item after interest costs and help sustain the business model of politics. It is not surprising that states and some parties have so vehemently opposed the idea of direct cash benefit in transfer of subsidy to individuals. Add the peculiar sarkari phenomenon called escalation, which cost taxpayers thousands of crores. How about fixing the leakage of taxpayer monies—shift it from the cost side to the savings side? Theoretically, better compliance, lower evasion and lesser corruption must translate into savings. Savings for the government must result in lower taxes and savings for the corporates must translate into lower prices. That depends on the politics of growth and redistribution. 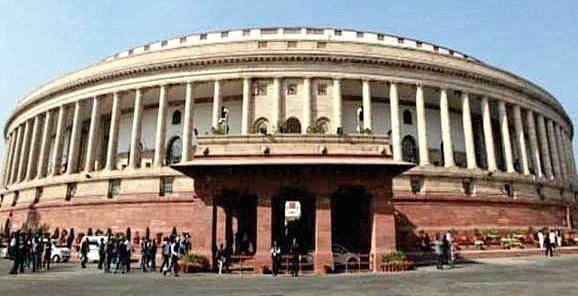 MPs in Parliament sloganeered for a “no loss regime” for states and urged that Centre must cover any loss to states for five years. The ‘have your cake and eat it too’ approach ignores the fact that a “no loss regime” obviates the need for a compensation scheme. The trillion-dollar question is: what should be the rate to make it a win-win proposition? The Kelkar Committee had estimated the combined revenue neutral rate (CGST and SGST) to be 11 per cent (and suggested that CGST and SGST on all non-SIN goods should be fixed at the single rate of 5 per cent and 7 per cent, respectively). The committee headed by Arvind Subramanian arrived at a revenue-neutral rate of between 17 and 19 per cent. A day after the passage of the bill, the buzz was that the base rate of well over 20 per cent. There is a huge constituency of doubt and concern about how the government will arrive at an acceptable rate. For sure, the regional parties and state governments will push for higher rates—after all, nearly a dozen states will go to polls between now and 2019. There is anxiety also about the rate for services. The argument that the poor are not hit by tax on services is an arrogant assumption—ask those paying for recharge coupons or medicines or tutorials. The challenge in any political economy is about balancing individual aspirations and institutional obligations. Can the two sides be balanced? Between them, the Centre and states raise around Rs 22 lakh crore. A higher rate may invite disaffection from the people—particularly the middle and working class. A lower than required rate could hurt funding of public services. Smart governance demands that the government looks at the opening in the challenge. Arguably, a lower rate—in an uncertain global environment—could hurt revenues governance. But the solution must not only be about taxation vis-a-vis expenditure, but also about savings. It is noticeable that the least developed and poorly governed states were at the forefront of the support group for GST. Now is the time for all these parties to come to the aid of the people, show similar enthusiasm for rethinking the model of government. The occasion affords a unique opportunity to repair and restructure governance. Yes, GST is a big step. But success demands the ramping up of real reforms—shutting down useless ministries, empowering states and local governments to enable results, getting government out of business. The challenge before the government is to align the economic and governance agenda with the political agenda. The idea must be to compress costs and expand outcomes. The Modi Sarkar has a once in a lifetime opportunity to create and sustain a real constituency for reforms. And that will happen only when the priority of the government is the citizen, the taxpayer, the consumer.